Rose and Her Lily: Lily's Cousin! 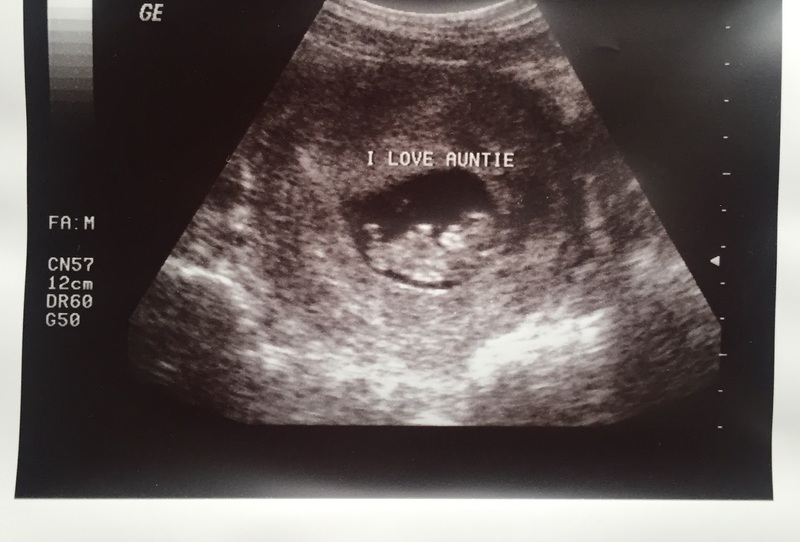 I have some exciting news.... I am an AUNTIE!! For the first time! My precious nephew or niece is due on May 13th. :) :) :) I am not *going* to be an auntie when my nephew or niece is born, but am one the entire time he/she is growing away! My siblings didn't all of a sudden get the title of "aunt" and "uncle" taken from them because Lily died. They will always be her aunts and uncles. The birth of a baby does not give that title and the death of a baby does not take away that title. 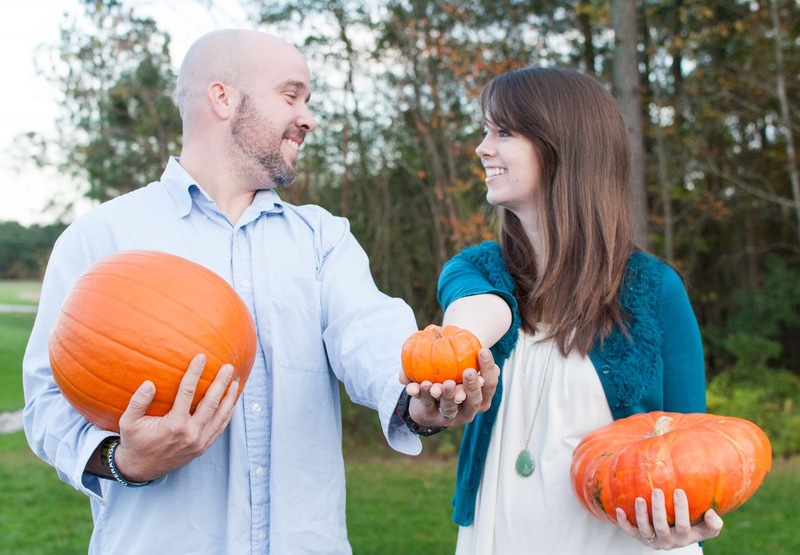 I was honored that my brother Joseph and his wife Kala asked me to take their "pregnancy announcement photo." This is what we came up with. I'm a big fan of baby pumpkins and whimsical photos. ;) Seriously, what an adorable couple, right?! 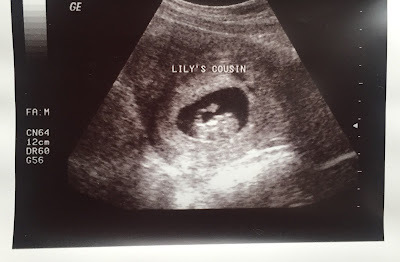 If you have followed my blog for a while, you may remember me sharing how difficult it has been for me to think of another child "replacing" Lily as the oldest grandchild in my family. It might sound selfish, but I just wanted my child to be the one my family experiences many firsts with because she would have been. 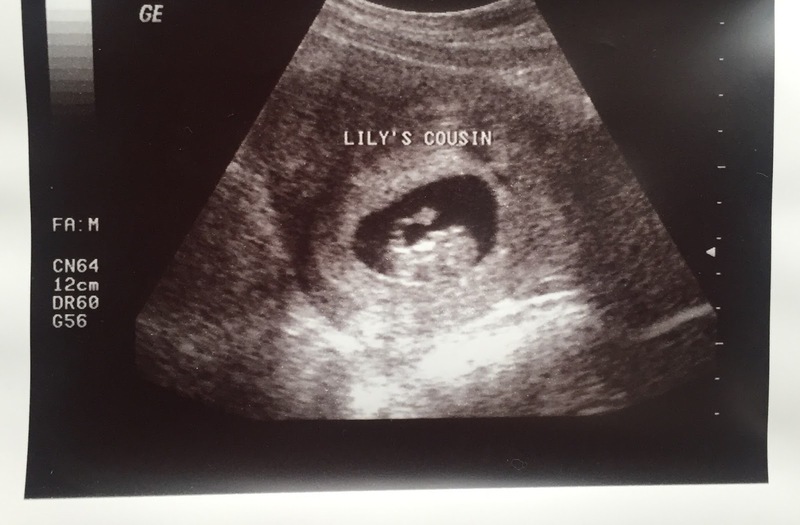 A couple weeks before I left for Ellerslie, I was talking with my mom one day and told her I had a feeling my brother and his wife would be announcing they were pregnant soon. They got married a couple years ago so there was no real reason to believe it was about to be announced. But I told my mom I felt like God had prepared my heart for the news. Then, when I was out at Ellerslie, my friend Shalea was talking about how excited she was to be an aunt to her precious nephew due to be born around Christmas. I thought to myself when I heard her talking about this that I couldn't wait to be an aunt myself one day. Then, I told Shalea on Friday, September 11th when we were enjoying yummy pumpkin-spice lattes and lovely conversation together at Windsor Lake that I felt in my spirit that a change was coming, both in my personal life and my family, though I didn't exactly know what that meant. Only a couple days later, on Monday, September 14th, my family tried calling and texting me to tell me the news that Joseph and Kala had just confirmed. I didn't have my phone on me at the time, but called my brother back as soon as I was able. The entire family would have been together to tell me had I answered when they first tried to contact. But I see that it worked out perfectly for it to be a private conversation between me and my big brother. Because of the urgency they conveyed in the text messages, I was concerned something was wrong. When I called him, Joseph answered and said, "Sis (my nickname), I have some exciting news for you.... you're an aunt!" With this news, I immediately burst into tears. And you know what.... through all those months, years even, of dreading this news, in fear that my heart couldn't handle the pain of both wanting to be happy for them, but also feeling sad for me and for the fact that Lily isn't here... I can honestly say, in that moment, I felt nothing but JOY. No sadness. Only joy. That is what I remember most about that conversation... how excitement, anticipation, and joy spilled out of my heart. This could only be God supplying me with His grace, healing my heart in places I wondered if it could ever be healed. It struck me in a whole new way how He truly does give us just what we need the moment we need it, not a second too soon or too late. All the things I fear facing in the future, I know my God will sustain me and will supply me with what I need to face those things too... such as the gender of this baby and the fact he/she will be born at "Lily's hospital." What also made the news not sting as much was the sensitivity Joseph showed. Joseph knows how hard losing Lily has been on me. He obviously didn't want it to be painful for me to hear. He had told Kala he thought he would cry when he told me, out of a mixture of many emotions. He even expressed to my dad his concern over telling me and my dad told him to pray about it and to trust God with my heart. The fact that he was thinking about this and wanted to show sensitivity towards me honestly makes all the difference. It also got me thinking though... I don't want people to feel like they cannot tell me news like this. I don't want people to be hesitant or fearful of how I'll take it. Sensitive yes, but not overly concerned. I want to respond with grace and love always, not allowing my feelings to overshadow someone else's joy. I told that to Joseph and Kala... that I don't want Lily's death to take away my ability to live with joy. I want her life to only bring me life. That's not to say things like this aren't difficult or understandably painful. But I want my Lord to be Lord of all things in my life, including my feelings. I don't want to make this "all about me." Because it's not. My losing Lily should not overshadow the joy my big brother has over being a father. He has wanted to be a daddy for many years and I want to REJOICE with him completely. I want to respond how I know Christ wants me to. And you know what else... I have been so afraid that Lily will be forgotten or replaced. But I realize that is a ridiculous fear. She will never, could never, be replaced. She is the oldest grandchild. Even though she isn't here in person, that fact will never be questioned or changed. And my family would never want it to be. They love Lily. They will never forget her. She is this baby's cousin. I only wish she were here to get excited over a new baby coming, due to arrive a couple months after her 6th birthday. One day... one day I believe the cousins will meet. look at that little hand waving! Another thing God has comforted me with... I long to get married and have more babies of my own and it's so hard waiting. This is obviously not the timing for that right now, but God has shown me what a rich blessing and gift to my life this baby is. I don't have my own baby to love on, but I have my brother's baby. How cool is that?! It's one step down from having my own baby. Not only that, but Kala is my best friend! My best friend is having a baby and my brother is having a baby... and it's the same baby! Haha it's just so exciting I can hardly wrap my mind around it. This baby is so loved already! I am a person who remembers dates of both random and significant things (it's just how my brain works). Anyways, I remembered on September 8th how it was on that date 6 years ago that I told my mom that she was a grandmother. I wrote in my journal on that date this year how I prayed for my mom to be given the gift of having another grandchild soon, a grandchild that gets to stay on Earth to grow up. It's been 6 years since Lily was born and died and it's been a long journey for my family. It has been so hard to see my family, my mom especially, wanting another baby to fill our arms and hearts. When I wrote that journal entry, I had no idea that my mom already was a grandmother again and that we'd be finding out just a few days later. And get this - the day we found out was the day after Grandparents Day! I just felt like this was God showing us that He is bringing restoration and is promising to bring healing through this new life. My mom has already been asked a few times if this is her first grandchild and she always says no. I know it's hard for her and she doesn't want people to ask more questions where she has to explain the circumstances. But it certainly does make my heart smile when she acknowledges Lily... She told me she even thinks of Luke too when she gets asked that question. My sweet little nephew or niece, there is enough love in this family for you and many more children. The God of love is capable of growing our hearts with His love for all the little ones He blesses us with. You are already adored by so many. I can't wait to meet you and spoil you, little one! I just know we will be so close because your mommy and daddy are two of my best friends in the world! I will always tell you about Lily. You will know her because she lives on in me. I will share her with you through the years... your big cousin who I know you will love. How could you not? ?